To access the DB in S71200/1500, some additional settings in PLC-side are needed. Select the DB in the left pane under “Program blocks” and press Alt+Enter (or in the contextual menu select “Properties…”). 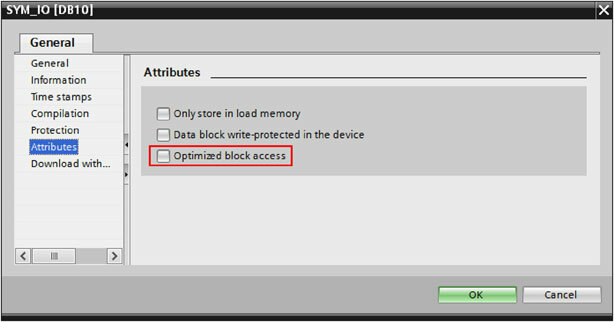 Uncheck Optimized block access (by default it is checked). In the item Protection, select “Full access” and Check “Permit access with PUT/GET ….”, as pictured.